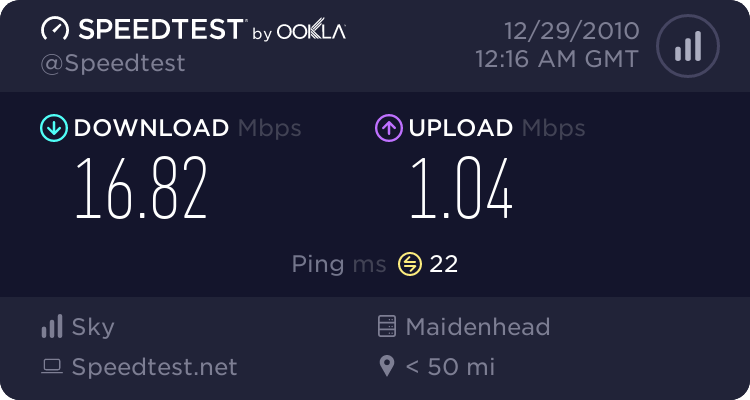 Been with talktalk for a couple of years on unbundled line but moving back to BT on 1/5. BT have emailed saying an engr MAY need to come and fit new line, I thought BT would just swap lines over at exchange? As local exchange is 21CN WBC enabled am I likely to see any speed increase over talktalk, with talktalk usually get 7 meg ish, BT have forecast between 4 and 11, probably 7.
samknows says I am 1.1 km straight line to exchange. Thats what I thought, read some where about current provider not releasing the line but think BT could sort that. Also ip profiling is dynamic on WBC, and is not stepped, so the lose from that has gone. Want to go with BT as poor mobile signal at work but BT fon is available. Have used talktalk forum and support from them is very good, your description of talktalk telephone support as dire is, I think, being generous. I got the impression that forum support on BT website was OK/good, though only been on it a few times to have a look.